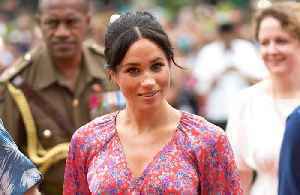 One News Page > Entertainment News > Prince Harry Surprises Crowd, 'Drags' Wife Meghan Markle On Stage! Prince Harry Surprises Crowd, 'Drags' Wife Meghan Markle On Stage! Prince Harry surprises students by bringing his expectant wife Meghan Markle on stage while speaking at the WE Day UK event held at the SSE Arena in Wembley. 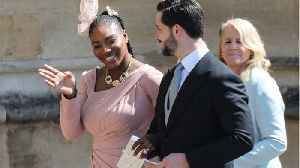 Iconic athlete Serena Williams just hosted a lavish baby shower for Meghan Markle at the Mark Hotel in New York City. According to CNN, Williams and the Duchess of Sussex met a few years ago at a..
Studies show that many spontaneous babies are born during the day time, meaning if you want to guess what time Meghan is having her kid...morning may be your best bet! Is Meghan Markle Preparing To Go Into Labor? The 15th video in our ‘Royal Baby Countdown’ series shows Prince Harry and William on a visit to Niagara Falls in Canada. Report by Dessentjacksonl. 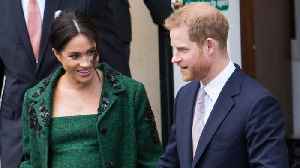 Like us on Facebook at..
CNN reports that the Duke and Duchess of Sussex may be thinking about moving to Africa after the birth of their child. CNN reports that the Duke and Duchess of Sussex may be thinking about moving to Africa after the birth of their child. Meghan reportedly wants her and her child to explore their African roots. But..
New Zealand Herald 1 hour ago Also reported by •OK! Seattle Times 2 days ago Also reported by •OK!